Will the market actually cheer Fed tapering? 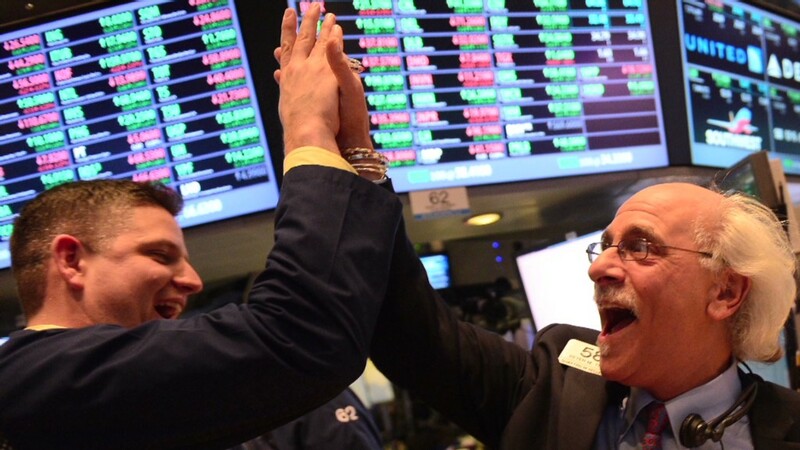 Will the market actually cheer tapering? Experts think Federal Reserve chair Ben Bernanke has the market prepared for an eventual slowdown in the Fed's bond purchases. Are investors ready to accept the eventual tapering by the Federal Reserve? Sure, stocks fell Wednesday on fears the Fed is getting ready to cut back, or taper, its massive bond purchase program. Yet amazingly enough, several investment experts say the market is finally prepared for the taper. "Financial markets will be fine with a taper," said Samuel Wardwell, investment strategist with Pioneer Investments. "The Fed in the market makes investors nervous." It didn't seem that way earlier this year though. The Fed's quantitative easing program has been hailed by many as the mother's milk of the nearly five-year bull market. For much of 2013, any inclination from Fed chair Ben Bernanke that the central bank might be closer to pulling back on its stimulus was viewed negatively by investors. Stocks fell, bond yields spiked, and good news turned to bad news as investors feared positive economic data would cause the Fed to reduce its bond purchases sooner rather than later. But for now, the taper hysteria may have subsided. Wardwell says the economy is in the midst of a "self-sustaining, self-enforcing expansion," and that a carefully orchestrated Fed exit won't derail the market. Savita Subramanian, head of U.S. equity and quantitative strategy for Bank of America Merrill Lynch, agrees. She thinks the taper, when combined with a growing economy, steadily rising interest rates, and tame inflation, will lead to stocks climbing even higher. "We believe we are on the road to normalcy," she said at a conference earlier this week. The fact that experts think higher interest rates may be a good thing sounds a little paradoxical at first. But Brad Crombie, head of fixed-income for Aberdeen Asset Management., said investors need to think about the bigger picture. Rates are still near historic lows and are not expected to spike dramatically higher. Crombie said it's worth remembering that banks are in much healthier financial shape now than they were five years ago at the peak of the financial crisis. So many banks are hungry for higher interest rates to boost their lending returns. And the more banks loan out, the more the economy will grow, Crombie said. Market up on good news? Pinch me! So which companies are best positioned for tapering? Subramanian recommends large, American multinational companies that have boosted their cash levels and cut back on debt during the past few years. That's a reversal of recent years, when investors poured into small companies that borrowed heavily because of the Fed's easy money policies. Larger companies have done extremely well this year. But they have lagged smaller, riskier firms. The Russell 2000 (RUT) index of small-cap stocks has gained 30% this year and nearly 145% over the past five years. The Dow, meanwhile, is up 21% this year and about 85% in the past five years. But there are still a lot of unknowns when it comes to what's next from the Fed. How quickly will the central scale back its unprecedented $85 billion per month buying program is still up in the air. Will the Fed cut back the size of its purchases in big increments or small chunks? Investors may be happy with gradual tapering but could fear a larger pullback in bond purchases. It's possible that investors could get more answers as soon as next week. The Fed's next policy meeting wraps up on December 18. 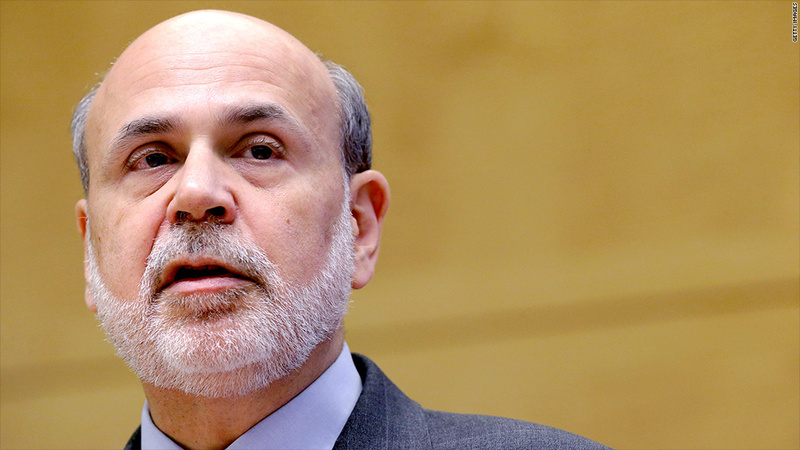 This is Bernanke's second-to-last meeting at the helm of the Fed. And even though many strategists believe the Fed won't formally announce tapering plans until current vice chair Janet Yellen takes over next year, Bernanke will undoubtedly face many questions about the tapering time line at a press conference following the conclusion of the meeting.